In October my lovely friend Amy came to stay with us for a few days, and one of the things we both wanted to do was to dye some yarn. I have dyed yarn before, using Kool Aid, and was given a yarn dyeing set for my birthday last year, so decided to go ahead and spend a morning dyeing yarn. 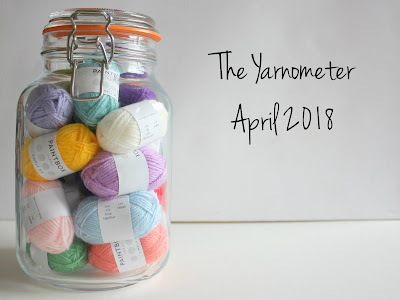 While I have dyed yarn before, it was a while ago, so I started by watching a few YouTube videos to work out what we would need and some basic techniques. * I quickly worked out that while I had a lot of the materials needed, a quick trip to the shops was required to pick up some extra bits and bobs, including a saucepan and some utensils that could be used specifically for the dyeing as you shouldn't mix dye and cooking utensils. Step one was to soak the yarn. Pretty boring, but also essential to ensure the dye penetrates the yarn properly. 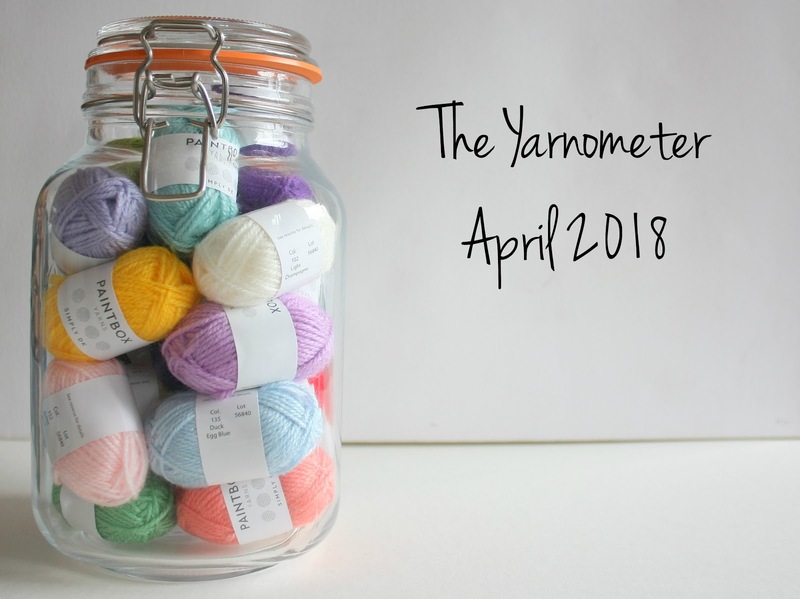 I bought the yarn from Devon Sun Yarns as her yarns were the best value if you only wanted a few skeins (postage is expensive from some of the bigger companies). We chose sparkly sock blanks and long skeins that could be dyed in stripes (not that we used those as we ran out of time). One of the most enjoyable bits of yarn dyeing was choosing what colours we wanted to use. We didn't have a particular colour scheme in mind, but both agreed that we didn't want to make brown yarn. The easiest way to avoid this is to use colours that don't make brown when mixed, so we chose pink, turquoise, blue and purple. If it did all get mixed together, the result would be pretty! 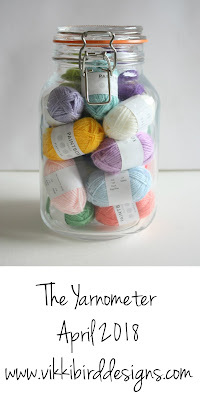 We agreed that it would be fun to dye each of the yarns we had using different techniques and have a bit of a play. I dyed my sock blank as a solid in a big pan of dye. I add the dye to the cold pan, gave it a good stir, added the blank, then heated the whole pan very gently until it all reached a gentle simmer. This took ages! Amy went for a different approach and painted her blank with spots of dye using measuring spoons. Once the pan had simmered for a bit, I added some darker shades of blue to the hot pan. Then simmered it for a bit longer. As the dye was being added hot, it stuck to the blank instantly, resulted in a lovely mottled effect. Amy's yarn was set using the microwave while I waited for my yarn to cool down, then we rinsed the blanks out. I also had a skein of undyed yarn that I had in the stash that I decided to wind into mini skeins so we could try out a few techniques. We tried cold dyeing these skeins, them microwaving them to set the colour. We also sprinkled the mini skeins with some neat dye particles to add speckles. This was great fun, and much quicker than the stove top approach! At the end of the day we came away with some beautiful yarn - not a hint of brown! I love my sparkly sock blank, and Amy's is so pretty too. I have gifted some of the minis to other people, and plan on using the rest as bright contrast pops in socks. Our day spent dyeing yarn was really good fun, and I'm sure it's something I'll do again (especially as I have now largely forgotten how much mess it made! Maybe I should do it in the summer so I can do the majority of the work outside where I'll be less bothered about the mess!). 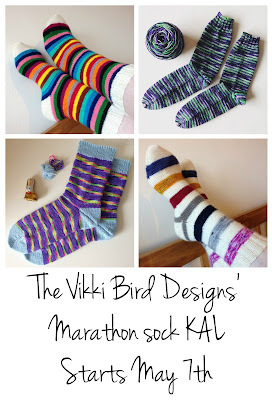 I haven't yet knitted my sock blank up, so I think I'll aim to do that for the Marathon Sock KAL. 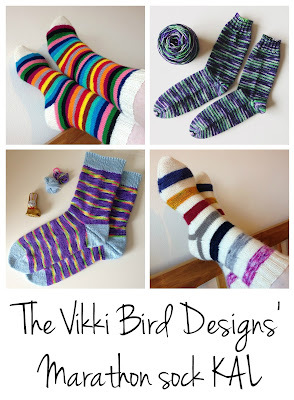 I can't wait to see what it looks like as socks! If you fancy dyeing some yarn for yourself, you might like to look at the DT Craft and Design website run by Debbie Tomkies. The site stocks a large variety of undyed yarn and all the dyes and materials you'll need; it's where my dyes came from. Devon Sun Yarns also has an excellent selection of yarn dyeing materials suitable for beginners.